Liquid coliphage suspension are routinely tested for quality, purity, and titer. They contain DNA or RNA supplied as a filtered tryptic soy broth suspension of relative infective titer (10-7 plaque-forming units per mL). 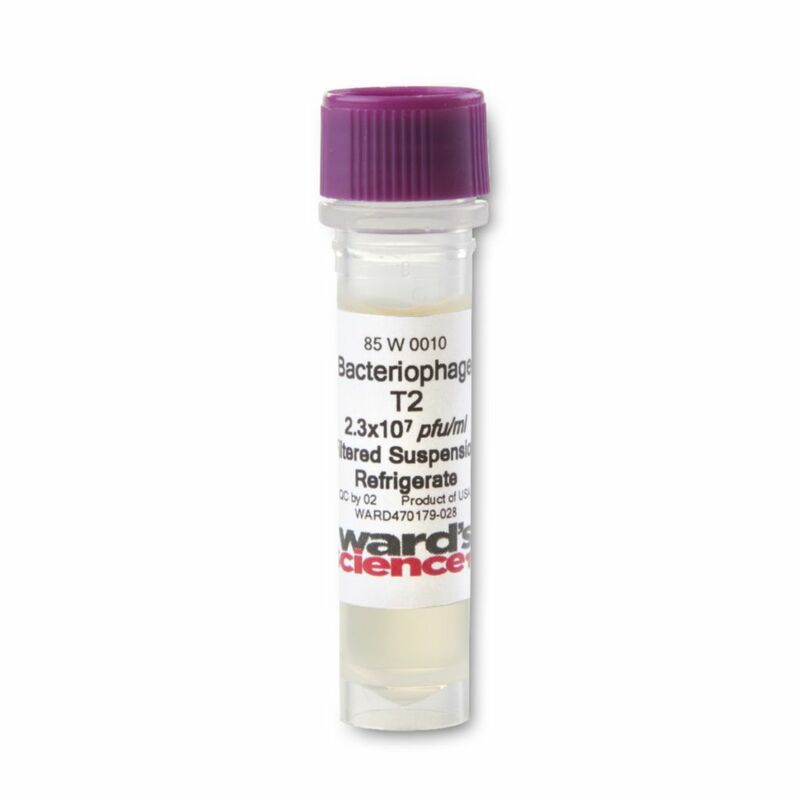 Several varieties of coliphage cultures are available. Ordering information: Contents include: PhiX174: Minute polyhedral form, 25 ?m in dia. Circular single-stranded DNA close relative of S13 phage. Good for plaque morphology and demonstration of cations on plaque growth. T2r+: Wild type. Used most frequently in genetic studies. Rapid lysis. T4r+: Wild type. Less sensitive to ultraviolet radiation than T2. Rapid lysis. T4: Non-reverting plaque morphology. Mutant of T4r+. Rapid lysis. T4rIIA: Point mutation in cistron A, segment 4. Reversion rate to wild type approximately 106. T7: Rapid lysis. Produces large plaques. The liquid suspension is in tryptic soy broth. It is supplied in a vial and the proven titer is noted on the label. Quantity: 1.5 mL.